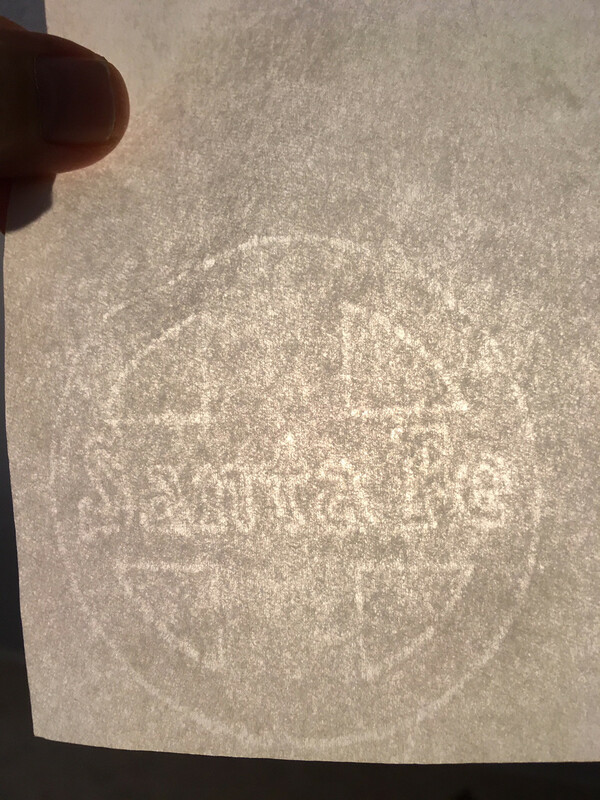 The paper that just arrived has a watermark — the logo of the old Atchison, Topeka and Santa Fe Railroad. That makes the paper extra cool. I'm posting a photo of the watermark below. That big fat thing is my thumb, for scale. It's beautiful paper for writing on in fountain pen. It's thinner than Tomoe River, I'm pretty sure, and you can only write on one side because it's translucent, almost gossamer-like. But the surface is great, takes ink like a dream with no feathering whatsoever. And ink dries faster on it than on slick, coated paper. One of my late uncles worked for ATSF for his entire working life - first hitch in Galveston and then he wrapped up his career at the Temple, TX office. Nice! I love old, watermarked paper. You can buy on Etsy as a "guest" (so you don't have to join) and you can use Paypal or a credit card to pay. That onion skin paper looks great. Good buy. The next time I'm in the US I'm planning to try and get some. Jbb has some very lovely papers in her store, as well as other things. And she always packages them up so nicely. 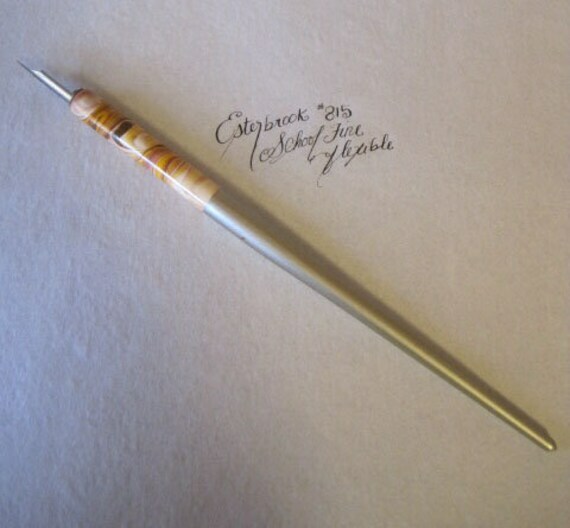 And those gorgeous dip pens! I broke down and ordered one just now. Can't wait to receive it! Last edited by calamus; January 26th, 2019 at 11:53 PM. Onionskin makes me happy. I thrill to the crinkly sound. So does my small terrier, who is sure I've opened a snack. P.S. Did you know there is a "show us your dog" forum? What's your dog's name? Looks like a cutie! that is my stella and she is a border collie and I actually have five dogs all rescues from the woods behind my house . yes people use those woods for dumping grounds I walk back there all the time I have found cats back there begging for help which I have gotten home for and several dogs which if I did not take in I found homes for . I found my german shepherd back there half starved and almost dead . I despise people who do that and I have reported that area as a dumping ground back there . thanks for the info on the stone paper did not know all that info but good to learn . people think they doing something good for the earth but they are buying chemicals LOL . Off topic, but HATE that too. People drop off entire litters of puppies in our cemetery. Thank you. I just ordered some onion skin paper from JBB. It is wonderful paper and hard to find. You are a good person. Those poor animals were lucky you found them.